Innovative ways of doing something new become a part of work habits as well as lifestyle every now and then. The reason behind this can be changing commercial scenario, new technologies, personal preferences or simply the impetus to follow latest trends. 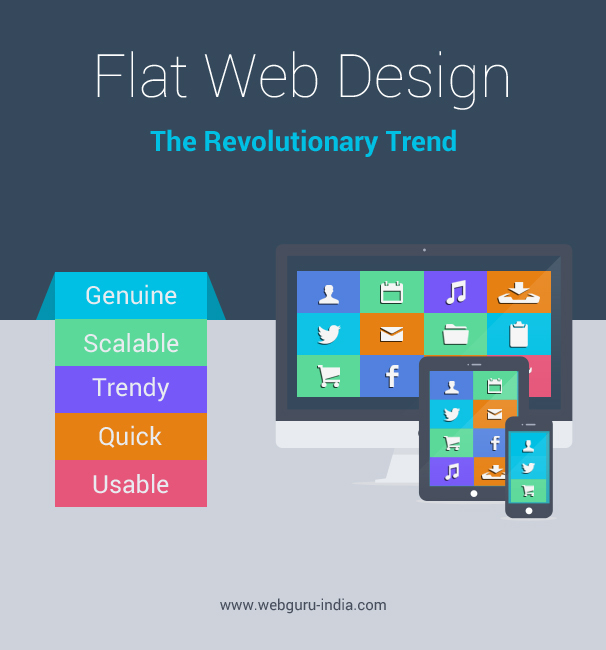 The flat design approach is a new web design trend of recent times. The term flat here describes a two dimensional screen with a two dimensional design. Over the past few years, user-oriented modern design has been in vogue. Nowadays, it seems that people have somehow become used to this highly sophisticated digital age as majority of people do not even remember their real-life counterparts that are being represented through current design trends. There are numerous advantages that come with this simple, flat and typographical design approach. The genre of flat website design is honest. The website of a Windows phone shows the characteristic of flat Windows designing with a clear structure, typography and several colors. Perhaps, the core concept of this kind of creation lies in its honesty. Wondering about what actually this means? It is very simple; flat designing acknowledges the screen designing that is two dimensional in form. It does not require any effort to add any three dimensional effects. The users never feel that they are communicating with anything else but a flat screen. There are no gradients, shadows, patterns, 3-D effects, or designing elements reflecting real-world things. Rather, it makes use of typography, colors, enough white space along with a strict grid system for a simple and user-friendly interface. Flat designing is easily scalable. The conception makes a website responsive with the content easily scaling across diverse screen sizes. This is lined up with another new development in web design and this is none other than responsive design. 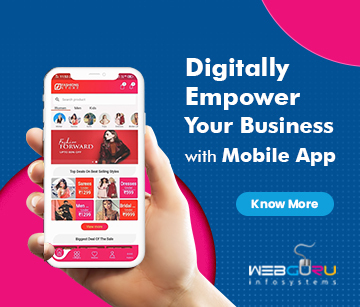 Mobile internet is becoming increasingly important and hence one of your major considerations should be making your website look attractive on different screen sizes. Flat conception elements like color and typography can easily get accustomed to smaller screens unlike realistic images or other designing effects which are difficult to scale. So far as designing craze is concerned, people want to remain updated and for this reason trends are followed. Flat designing is trendy in the world of latest web designs and its clear, fresh, light and modern features have an outstanding appeal worldwide. With various other latest designing trends, such as the use of typography, white space and bright colors, it goes hand in hand. Modern designers are not much aware of how long this style will last with any other designing trend. 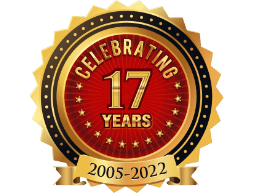 It can be a phase, but it as of now well triggers a somewhat revolutionary change in the field of website development. Like any other design, it cannot be assumed how long this trend will last. As long as we are unaware of what it will be, it is better not to follow the style blindly. Before flattening your designing you are advised to make sure that your website is suited and your target group is ready for this approach. Simplistic and flat radiates efficiency. Through the lack of distraction, you can directly draw your line of sight to the crucial parts of the site. It not only helps you achieve your business goals; but it also assures you faster accessibility. 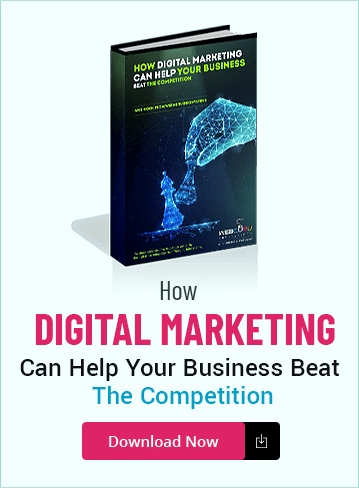 It guides you on how to convince your visitors by presenting a website designed with exactly what they are looking for in terms of a better conversion. Modern technology has reduced all designing essentials to a nominal amount. Every element contributes to the usability of the website. If planned rightly, flat designing is at the same time extremely appealing as well as usable. This simple technology is meant to remove various distracting designing elements to focus mainly on the content and the user’s goals. In such trend, uses of visual cues like typography and color are quite common as they guide your users to reach their goals. Avoiding complication does not make flat approach equivalent to minimal design and this is where its trickiness lies. Make it as effortless and as lucid as possible by stripping down your design without removing cues that are necessary for successful user-ability of your site. Flat website designing is considered to be a step towards accepting the abstract and unparalleled nature of the web. However, this trend is often characterized as an ephemeral trend; it often acts as a revolution in the field of web design. It is one of the simplistic interface design in terms of new digital design trends.